Driving into Rochester, Minn., you see four exits to the Mayo Clinic. That’s a big hospital. In fact, the Mayo Clinic, St Marys Hospital, and Rochester Methodist Hospital form the largest integrated medical center in the world. More than 350,000 patients annually visit the Mayo Clinic, which, as you probably already know, is famous for its diagnosis and treatment in virtually every known medical and surgical specialty. 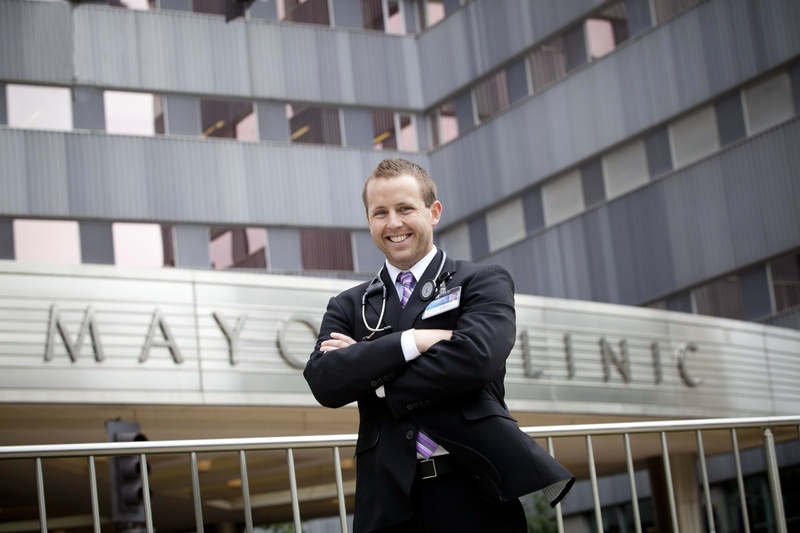 What you may not know is that the Mayo Clinic has its own College of Medicine and accepts a small number of ambitious, talented students each year into an eight-year medical scientist training program. Lucas Carlstrom (’08 animal science/microbiology) is one of those students. Luke is currently beginning his fifth year of the eight-year program this fall. When completed, he will have both M.D. and Ph.D. degrees, allowing him to practice medicine, to teach, and to continue to conduct specialized medical research. It’s the ultimate trifecta for a student who has extraordinary drive, ambition, ability, and intelligence, according to one of his ISU mentors Matthew Ellinwood, associate professor of animal science. 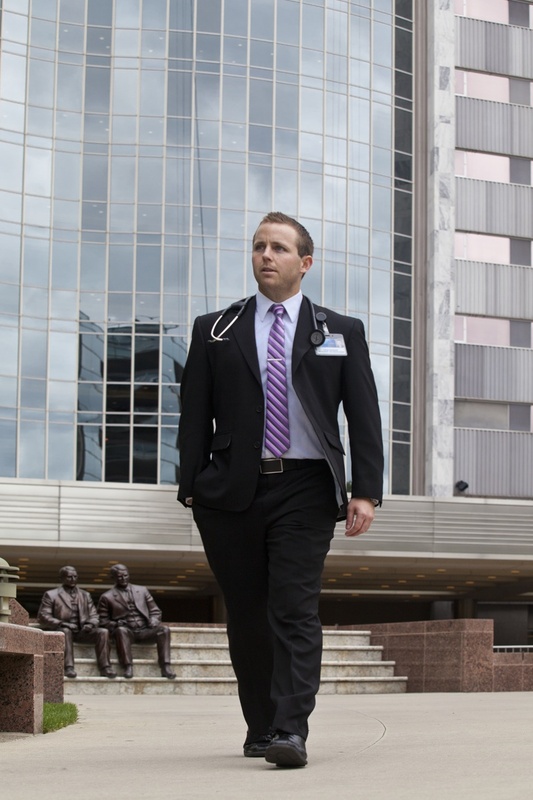 Luke started out in the pre-veterinary program at Iowa State before shifting his focus to human medicine. As an undergrad, he volunteered his time at the Mary Greeley Medical Center emergency room in Ames. He also worked with Prof. Ellinwood in his animal genetics lab on campus. During the summer between his junior and senior years of college, Luke received an internship at the Mayo Clinic and, as he completed his bachelor’s degree at Iowa State, his top goal was to pursue a graduate degree at Mayo (though he flirted with the idea of going to Harvard or Johns Hopkins). His current research emphasis is on molecular neuroscience, focusing on developing approaches to restoring nerves that have been damaged during spinal cord or traumatic brain injuries and by diseases such as ALS. Luke says he regularly works 12- to 14-hour days, plus weekends. When he’s not working, he somehow makes time to volunteer at local free clinics and to mentor area high school students. He also participates in children’s cancer fundraisers and a local food shelter fun run. Did I mention that he is also in training for an Ironman Triathlon? I asked Luke how he could possibly find enough hours in the day to do all of these outside activities on top of an already grueling schedule. I walked away from our meeting with this extraordinary young alum with huge expectations for his future. I absolutely cannot wait to see what he does next.